If you're having some trouble narrowing down the Scrum tool for your team, take a look at our best-of list for some recommendations. Over the past few years, Scrum has become the default face of Agile project management. One of the most popular Agile frameworks, Scrum is widely adopted by software and non-software development teams alike. Due to its growing popularity, there are numerous tools that have jumped on the bandwagon and have started to recognize themselves as the best Scrum tools. The criterion for the best Scrum tools is simple enough: the best tool is the one that fits perfectly with your project needs, helps you in effectively achieving your sprint goals, and doesn’t put a dent in your budget. If you search the internet for a list of Scrum tools, it will probably overwhelm you with so many choices it has to offer and the overabundance will leave you more confused than ever. So, to make things easy for you, we have compiled a list of the best Scrum tools that’ll take the burden off your shoulders and help you with choosing the best one for your team. Speaking of Scrum, if you’re not sure whether you should go for it or not, you can check out this Kanban vs. Scrum comparison for a detailed analysis to help you out with the decision. Starting off the list with one of the most versatile free Scrum tools available online, nTask takes the cake for being an all-rounder when it comes to incorporating Scrum. Primarily a project management software, the tool provides a unique set of features which make Scrum implementation painless for you. nTask is the only tool that comes with a myriad of features to manage every aspect of your project, and without any complicated add-ons. nTask comes with a powerful meeting management solution which lets you productively execute your daily Scrum meetings without any fear of losing productivity along the way. Project portfolio: All your projects in one central location, listed according to your preferred view for quick access. Tasks management: All the associated and independent tasks right in front of you for instant assignment and monitoring of progress. Daily Scrum management: Smart meeting management features, along with advanced meeting participant controls. Team collaboration: Provide timely feedback to your team members through comments within tasks and an updated activity log. Issue tracking: Timely resolution of issues with elaborate issue management functionality, including issue severity and issue assignment. Progress reporting: Built-in Gantt charts and timesheets for tracking the project progress and deciding the next course of action. Risk management: Creation and prioritization of risks with relevant projects to mitigate their effect on the project. Team management: Independent workspaces for teams working on multiple projects simultaneously, to ensure transparency. You’ve likely heard of Jira. It’s one of the most widely-used Agile tools for Scrum, so without a doubt, the second spot in this list goes to Jira. The tool comes loaded with features that make Scrum implementation seamless for the users, including customizable Scrum boards, custom filters for backlog management, and a number of visual project reports. Although it comes with a well-balanced functionality, Jira can seem a little overwhelming for the starters. It can take quite some time to get a hang of the software, and it would not be a wise decision to opt for it if you’re new to Scrum. Jira comes with a free trial of 7 days. Targetprocess is one of the most flexible Agile tools available in the market. It can be adopted by organizations of any size and for any Agile framework, including Scrum, which is why it made to our list of best Scrum tools. Coming with a high degree of customization, Targetprocess can be implemented easily on multiple levels of an organization, from a small team to a large enterprise. The tool provides customized visualization functionality, which makes it convenient for the users to get transparency while viewing all kinds of project reports. Fourth on the list we have VivifyScrum. 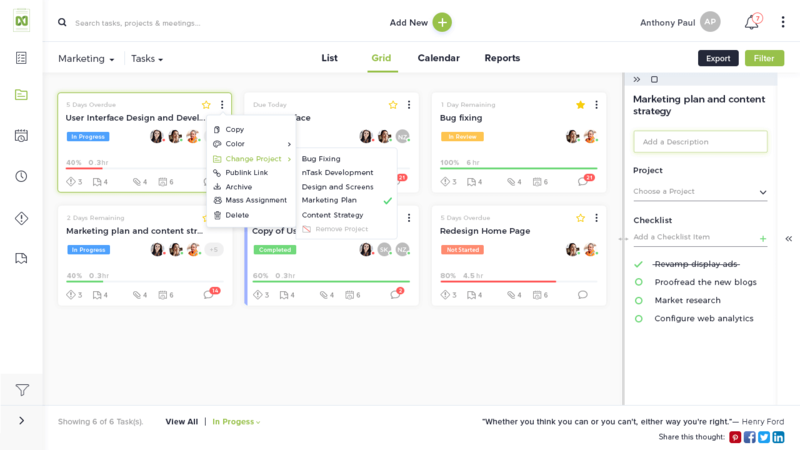 Coming with features tailored to the needs of Scrum and Kanban methodologies, VivifyScrum is a rather easy-to-use software that comes with a clean and clutter-free interface, making it aesthetically appealing, too. The tool allows users to create virtual organizations and add all the relevant team members. Users can conveniently add projects and boards within an organization and track progress effectively. VivifyScrum also provides online Scrum training free of cost, in case you want to educate yourself or your team about Scrum. The last great Scrum tool of our roundup is QuickScrum. A web-based tool coming with a simple drag-and-drop interface for easy backlog management, QuickScrum is one of the most user-friendly tools available online. With an interesting list of clients, this tool can be your next choice for easy Scrum implementation. While tools like Jira can be complicated for new users, QuickScrum can be an easy-to-use alternative that’s quick to set up, too. Just like VivifyScrum, QuickScrum also provides online Scrum training to individuals and teams. Have you used any of these Scrum tools? Which one is your favorite? Let us know in the comments below.